Welcome to the official website of the bid of the city of Santiago de Chile to host the 2018 Winter Olympic Games! 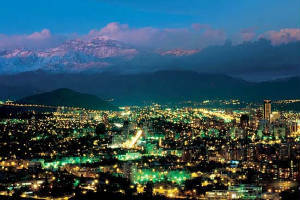 Why must Santiago host the Winter Olympic Games? It's a hard question. Maybe the answer is because Santiago is one of the biggest cities in the world. Maybe is because is one of the most beautiful places in the planet or because we have the best ski centers. Or just because we have the best infraestructure to host an event like this. Santiago de Chile deserve the Olympics Games. We want you know more about our city and the idea of host the Games and you support our proposal.